Treasure your memories by adding them to this locket, this easy-to-style- design looks great with any outfit making it perfect for every occasion. Rose Gold plated treasure trove locket with a protective anti tarnish layer, magnetic closing, presented in a Newbridge Silverware gift box. 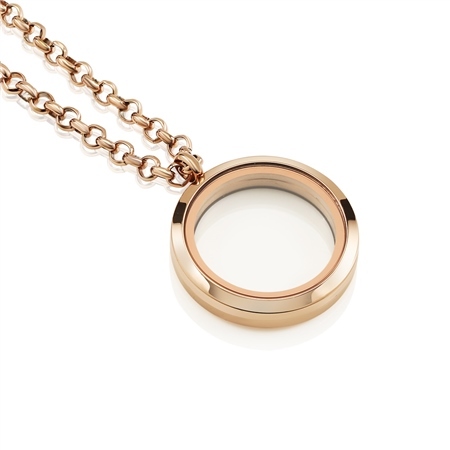 Product dimensions locket - 30mm diameter, 6.5mm width, chain length 610mm.